Give a kid a classic! Cozy Classics is the popular board book series that presents well-loved stories to children aged 0+ through twelve child-friendly words and twelve needle-felted illustrations. 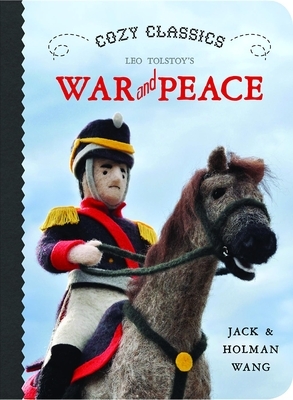 War and Peace is Leo Tolstoy’s epic masterpiece about love and friendship in aristocratic Russia during the country’s struggle against Napoleon, and is often considered the greatest novel of all time. Now you can share this classic with children of any age. Jack and Holman Wang are twin brothers who grew up in Vancouver, British Columbia. They first began writing and illustrating books together in the third grade. and a master's degree in architecture history, both from the University of British Columbia. featured in newspapers and on TV and radio, including NPR and the CBC.